Today’s business growth is fueled by digital commerce channels. B2B companies that have invested in digital commerce have reaped the rewards and that shows no signs of slowing down. In a recent McKinsey & Company study, 88%of B2B decision makers anticipate offering products in the next 5 years that will be primarily sold online. The future is bright for B2B digital leaders. 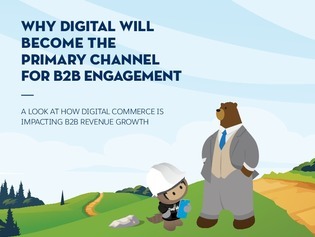 Read this resource to learn more about the findings of the McKinsey study and how your organization can improve digital commerce sales.